Buying a new home is an exciting experience, and along the way you might come across some terms and phrases that might leave you scratching your head. So here’s a quick guide to house-buying jargon and a breakdown of what it all means. A document from a mortgage lender confirming that you will be able to borrow a certain amount. You can use this to prove to a seller that you can afford to buy their property. The total amount of interest you’ll pay on your mortgage (or other borrowing product) in the space of a year. It also factors into account charges such as mortgage fees. A rate of interest set by the Bank of England, which tracker mortgages and standard variable rate mortgages usually follow. These are both mortgage terms. Capital is the money you borrow, and the interest relates to the interest you pay on top of your mortgage. This rate changes from lender to lender, so it’s worth shopping around for a good rate, or commissioning a mortgage broker to find one for you. This is the sequence of buyers and sellers who will all be exchanging contracts at the same time. 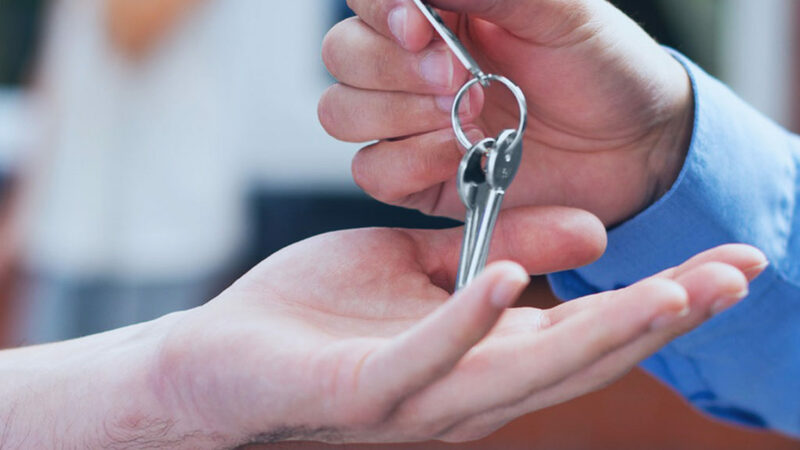 A first-time buyer is usually the start of the chain (buying not selling) and those in the chain are typically buying and selling at the same time. This is the process of legally transferring ownership of a property from one person to another. You will pay a conveyancer or solicitor to do this for you. The collection of documents showing who has owned a property before, and who owns it now. This is the amount you are required to put down yourself towards the cost of the property. The minimum deposit you will usually need is 5%, but the cheapest deals are available to people who can pay a deposit of at least 40%. This is a charge that your lender may apply if you decide to repay all or part of your mortgage early. Some lenders will apply a limit on the amount you can overpay by on your mortgage in any given year. You might also have to pay an early repayment charge if you go over this limit. This rating is given to you when you are looking to buy or rent a property, and shows the property’s typical energy use and may offer some recommendations for how it can be reduced. The amount of your property that you actually own. This is worked out by the difference between the value of your home and the amount of mortgage you still owe. This is the point when you are legally committed to the deal. The actual exchange of contracts is done by your solicitor or conveyancer. The mortgage interest rate stays the same for the initial period of the deal, which can be anything from one to 10 years. This means you can be sure of exactly what you will be paying on your mortgage each month, as your rate won’t go up – or down – with the Bank of England base rate. A property that you own outright, including the land beneath it. A government office that registers property in England and Wales. The fees for registering are paid through your conveyancer or solicitor. A property that you own until the end of the lease agreement, at which point it reverts back to the freeholder. The percentage of your home that you actually own versus the percentage that is covered by your mortgage loan. Mortgage-related charges, which can include arrangement fees, valuation fees, mortgage broker fees, higher lending charges and exit fees. Here’s our own breakdown of Tesco Bank mortgage fees and charges to give you an idea. The amount of time you are taking the mortgage out for – 25 years, for example. The process of switching your mortgage from one lender to another, typically to get a better interest rate or a change in repayment term. Your conveyancer or solicitor will search local records to look for factors that might affect the value of your house. A tax that buyers must pay on properties worth £125,000 or more. In Scotland the equivalent is Land and Buildings Transaction Tax, which is payable on properties worth £145,000 or more. This term applies to any non-binding, provisional agreement. The interest rate on your mortgage tracks the Bank of England base rate at a set margin above or below it. This document is filled in by your solicitor or conveyancer, which transfers ownership of the property to you. A survey carried out by the lender that confirms if a property is worth the price you’re paying. The lender may charge a valuation fee for this, typically between £150 and £1,500 based on the size and price of the property. Our Sales Team are always on hand to offer advice and explain what happens when you buy a Waterstone Home, get in touch today!